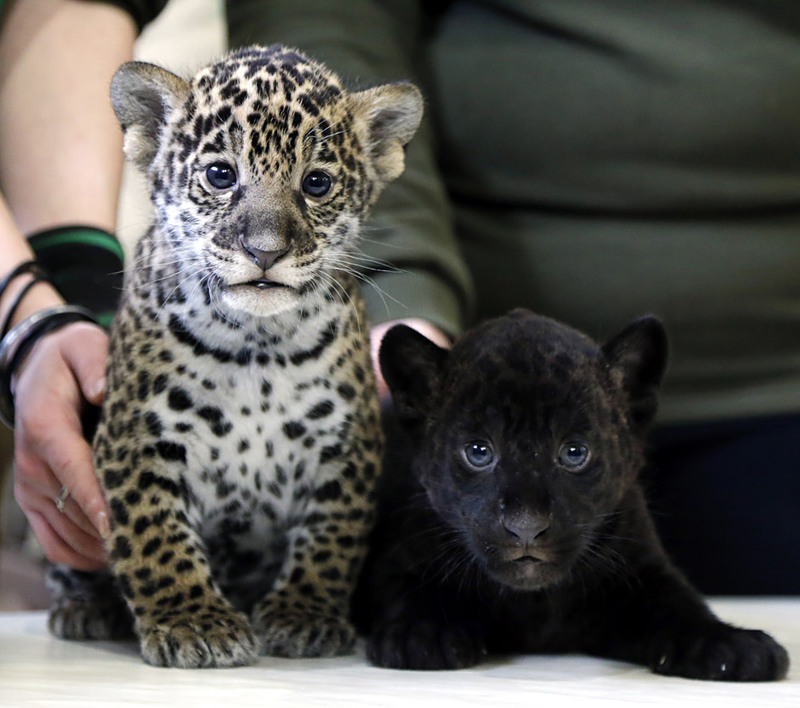 Two Jaguar cubs are presented at the Leningrad city zoo in St. Petersburg, Russia. A black and spotted female jaguar cubs were born on 11 March. Two Jaguar cubs are presented at the Leningrad city zoo in St. Petersburg, Russia. A black and spotted female jaguar cubs gave birth on 11 March.